While 5 k runs aren't usually my preference (lots of participants and build-up for only 3.1 miles) I'm always happy to participate in runs that support a good cause. This particular race, the Speak Up 5k, had proceeds coming back to the Crisis Center of Tampa Bay where I work, with a focus on raising awareness of suicide in teens. While the purpose behind the run was a heavy topic, the atmosphere the day of the race was one of positivity and optimism, and over 600 people showed up to run the inaugural race. I've never run a race that had so much support along the route! Around every corner were crowds cheering you on, posters displaying inspirational quotes, and even a group of bagpipe players. It was easy to breeze through the race with so many positive distractions. The weather also made it a beautiful run. This past weekend Tampa got it's first taste of fall weather with clear blue skies and mid-60s for race time. It felt so perfect that I only wish the race had been longer. I was disappointed to find that the race wasn't chipped. I ran my fastest 5k yet and would have loved to have had an official time. But maybe next year? As someone who doesn't usually do 5k runs, I really enjoyed this one! It was a fun group to be surrounded by, including my family and co-workers, and you genuinely left that day feeling uplifted. Starting in November, I jump into half training for my race in February. Since I struggled with recovering from the mileage last year, this year I'm focusing on getting in more runs and making sure I'm listening to my body every step of the way. I also want to focus on increasing my speed, which will be a struggle since I'll be running this half solo in the woods, which I've never done before. But what's the fun in running these races if you aren't challenging yourself or getting stronger? Have any races coming up? 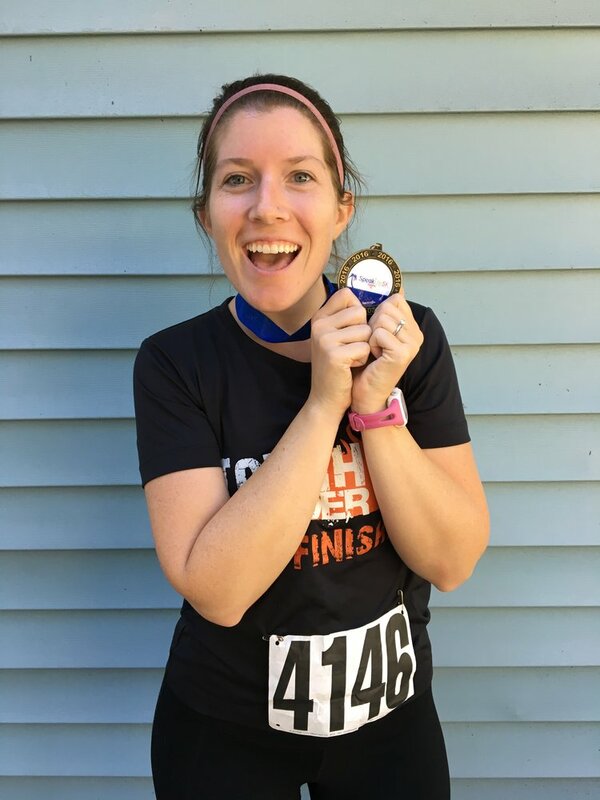 What's your favorite part of running a race (or attending for those that don't run)?